Men you will faint if you see what this single lady is asking for. We are currently leaving in a party generation where Ladies are so demanding more than what themselves can offer. If you are a frequent user of social media sites then you might have come across desperate ladies looking for potential sponsors. Here is a post I happened to stumble upon in facebook of a lady demanding too much. 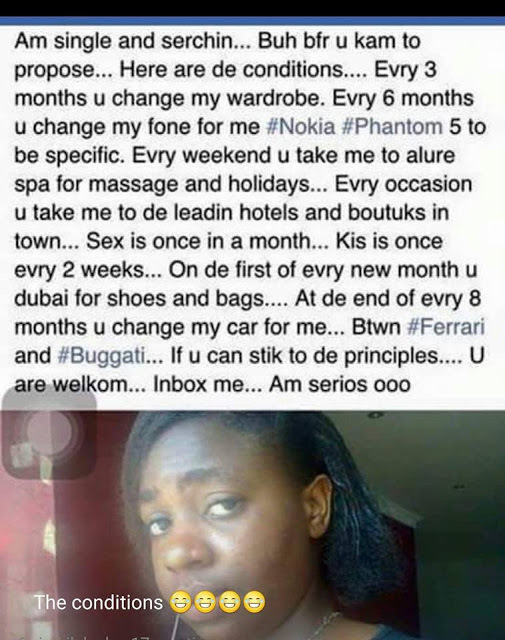 See what she is asking for.